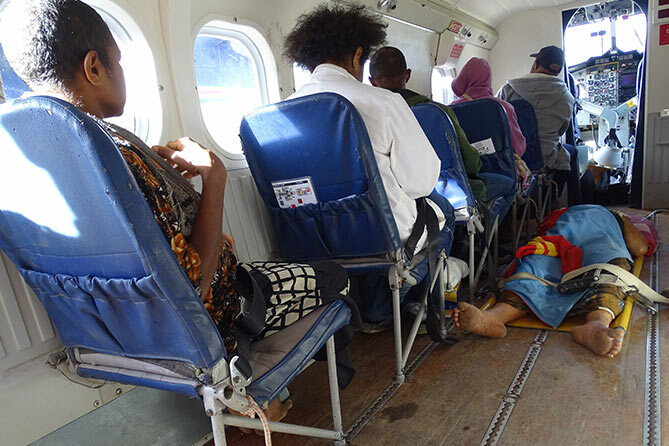 One medevac the night before in PNG turned out to be four the next morning. At the end of that particular Friday at the end of March, the Telefomin Twin Otter crew, Captain Mathias Glass and First Officer Ryan Cole, were rather frustrated at not being able to complete their flying programme. 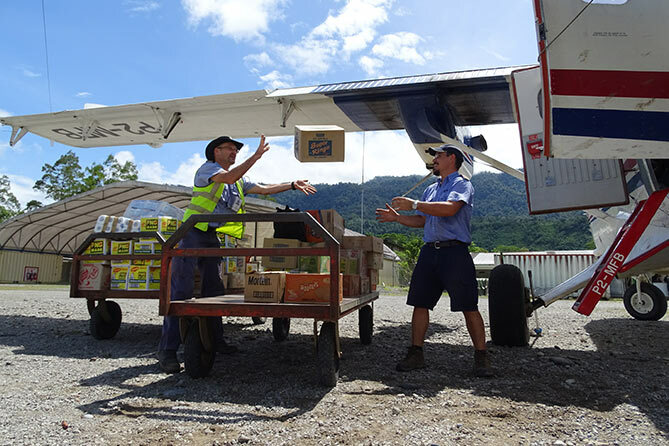 Due to challenging weather after lunch, it had taken them longer to get back from Mt Hagen to Tari. 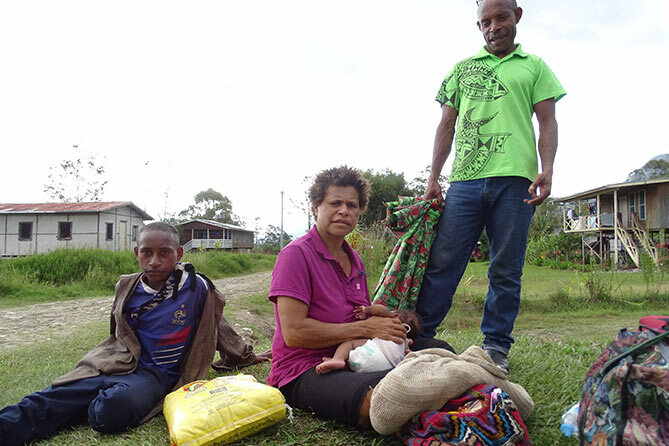 They had to cancel a flight to Tekin, which would have delivered store goods and picked up 8 passengers, some of them Community Health Worker students waiting to return to their course at Telefomin after their placement at the Tekin Health Centre. 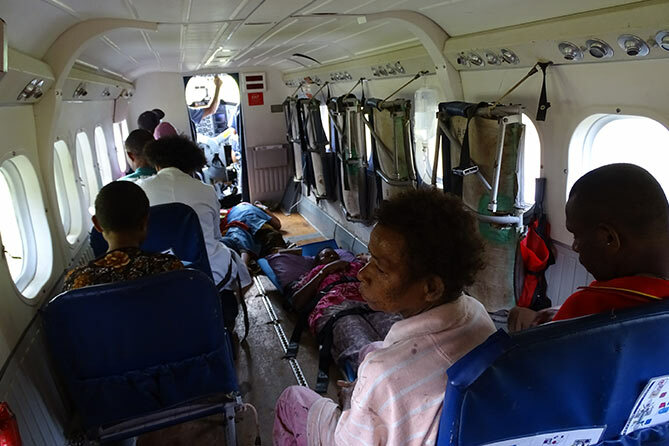 The pilots had flown straight to Telefomin but en route to their home base the Telefomin base staff informed them via radio about a requested medical evacuation flight (medevac) from Yapsie to Tabubil. The weather really closed in and navigation between the clouds and mountains again increased the normal flight time. Eventually they found a small hole in the clouds to descend into the Telefomin valley and land. 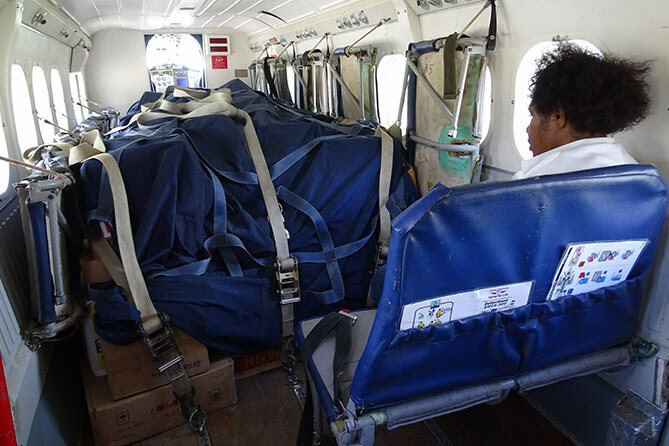 However, this meant they had run out of daylight hours to be able to fly the medevac from Yapsie to Tabubil and eventually return to Telefomin. 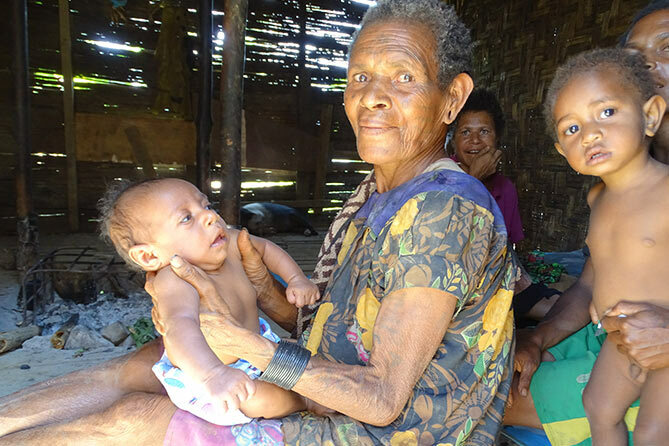 A woman, Ester, had given birth earlier that morning. Unfortunately the baby had died straight away, while the mother was losing much blood and had a retained placenta – far too much for the small aid post’s workers to deal with. It was even more frustrating, as the pilots sat at the dinner table giving thanks for the food and praying that the woman would make it through the night, when they saw that the weather had cleared again, revealing all the surrounding mountain ridges, leading to a stunning sunset that evening. 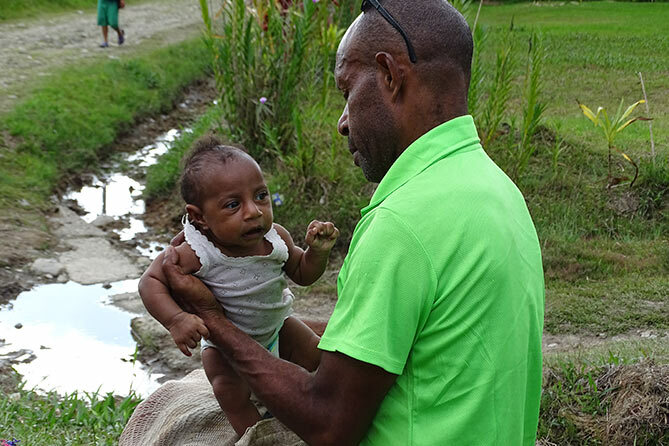 However, when they were preparing to depart to pick up the Ester first thing the next morning, they discovered that overnight another woman, Osa, had developed complications during childbirth (breech presentation) at the Telefomin hospital and needed emergency surgery at Tabubil. 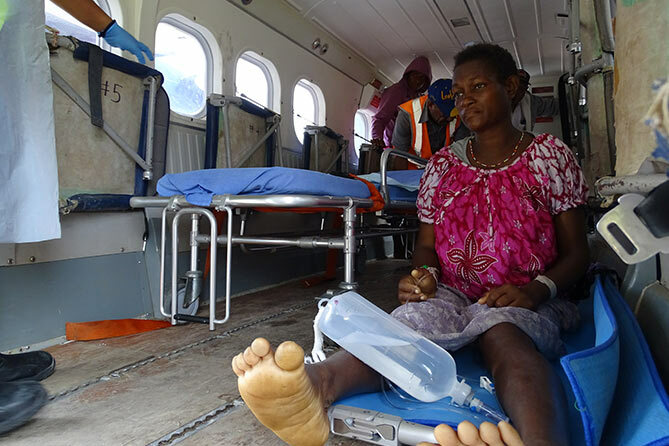 A further young woman, Kolina, had been experiencing some painful intestinal problems, so the Telefomin District Health Administrator, who paid for the whole charter, agreed to send her to Tabubil for further care too. While giving the weather report at 7:30 am on the HF radio, Yapsie also requested that a second patient, Lucy, diagnosed with TB be flown out to Tabubil. So, one medevac the night before turned out to be four the next morning. 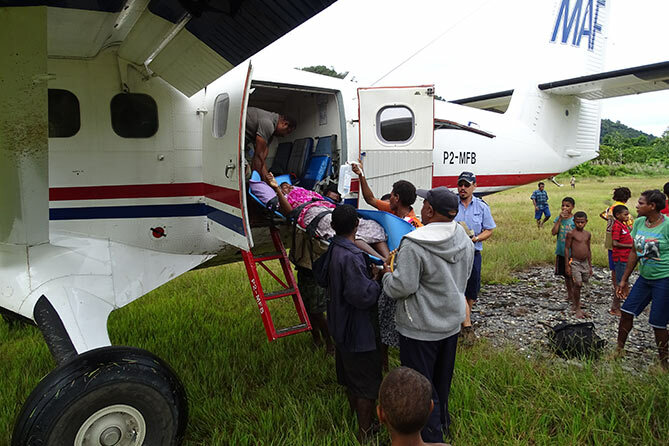 Despite all the frustration for both pilots and all the Telefomin and Tabubil base staff members of not being able to fly the medevac that Friday afternoon, how amazing that all along God knew that waiting 15 hours would enable the aircraft to help more people more efficiently without risking the health of the first medevac patient! It’s been 6 weeks since that medevac happened. Since then, Ester has returned to Yapsie. We haven’t been able to find out an update on the second patient from Yapsie, the elderly woman, Lucy. Kolina is still in Tabubil. Her intestinal problems were due to pregnancy and she will await the birth of her child there. Osa came back to Telefomin on a flight on 18th May, with her her healthy newborn baby girl and her husband. She looked tired, her movements were slow. This had not been an easy birth. The midwife and nurses at the Telefomin hospital had not been able to help her. After she had been transferred into the plane to be sent to Tabubil one nurse talked to her to make sure she is aware of what was happening to her. “Where are you now, in the car or in the plane?“ – “In the car,“ was her answer. – “No, you are in the plane now. You will go to Tabubil. There you’ll have surgery to deliver the baby. It was just beyond our ability to help you here. Sending you on the plane to Tabubil is for you to be safe, as you might otherwise lose your baby. All the best.“ The contractions continued during the flight and Judith, the midwife, was prepared to deliver the baby in the aircraft. 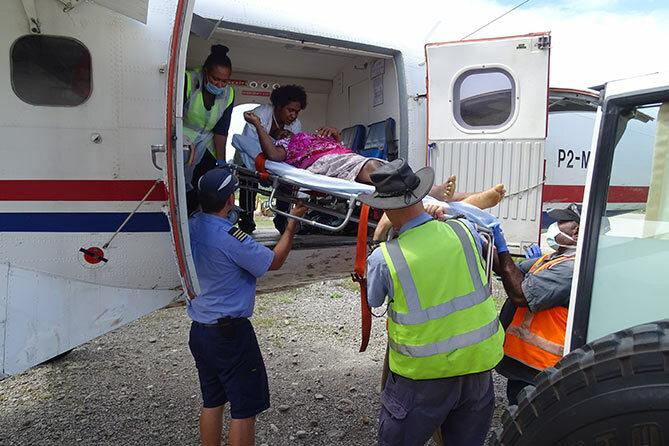 However, we were all relieved when we landed at Tabubil and the Tabubil ambulance arriving about 20 minutes later to take her to the hospital. The upgrade of the hospital is underway. New buildings are already there, even a theatre. At this stage, the hospital only lacks most of the interior equipment, e.g. beds and all the medical machinery. 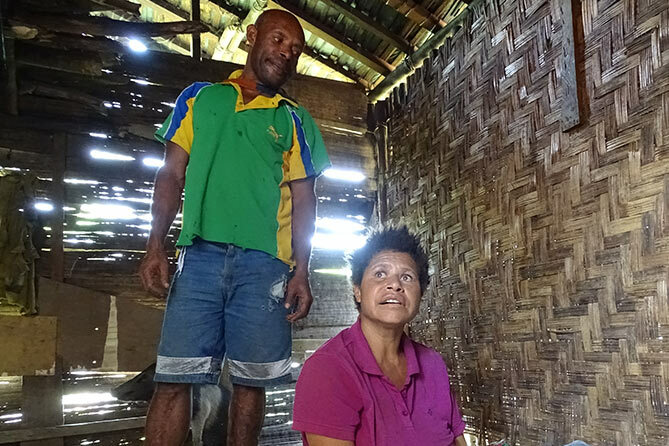 The lack of better facilities might be frustrating, however, Judith is making the most with whatever resources she has available. Since her very first labour and medevac experience at Telefomin, she has delivered almost 20 healthy babies at the little maternity unit and continues to care for many more expectant mothers – a job she is really passionate about and which gives her much joy and fulfillment.